Many restaurants are today using the old and junk products as a design element recycling at their restaurants and this trend is fast catching in the industry. Lately, lots of people are talking about going green. From restaurant owners using edible crockery’s to making sure there is less food wastage, everyone is focusing on ‘Going Green’ and recycling the used materials. Many restaurants are today using the old and junk products as a design element recycling at their restaurants and this trend is fast catching in the industry. And, to meet all these requirements restaurateurs are adopting several practices to become ‘Green’ or ‘Eco-Friendly’ restaurant. Adopting eco-friendly products: Avoid chemical-based cleaners that have a damaging effect on water and wildlife. Also, using edible crockery’s can be the best method in these fast evolving and speedy life to remain eco-friendly. KFC India in yet another initiative has tested edible rice bowls in few parts of India. Saving Energy and Water: Use renewable source of energy in your restaurant and ask your employees especially the kitchen people not to waste too much of water, ask them to close the taps after they have done with their work. Also, avoid using plastics at our restaurant. Using Recyclable materials: Use paper and napkins which can be recycled. And, also use recyclable toilet paper in your restaurant’s washroom. 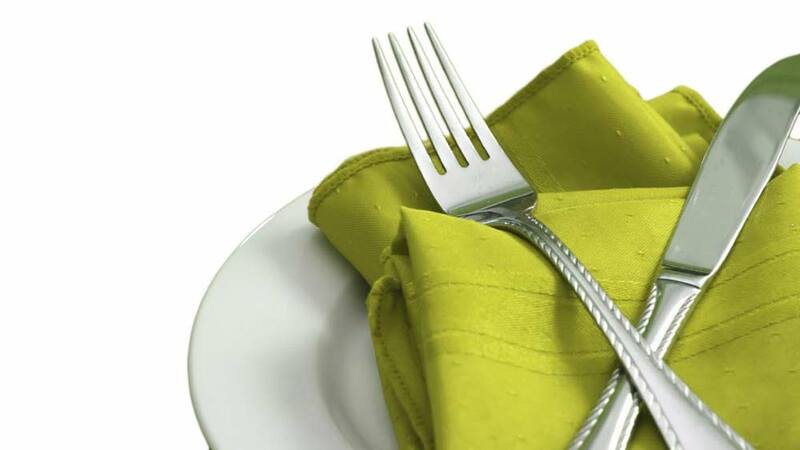 Try avoiding use of plastic straws and boxes for foods in your restaurant. Today, most of the restaurants are using recyclable materials to meet the demand of the eco-policy. Organic is the ‘New Green’: In last two years people are focusing on organic and gluten free foods. With more exposure and knowledge about food, people are avoiding restaurants that are still serving pesticides and chemical fertilizers grown produce. Today, restaurants are using organic products and local ingredients which are easily degradable to follow the concept of going green. Getting local supplies: Try getting all your raw materials from a local supplier. Using ingredients that have traveled a long way will add to your carbon footprint. Buying raw materials from local suppliers will cut the amount of energy used to import the food from a distant place to your restaurant. Using Eco- friendly equipment: Try using equipment which is eco-friendly, computer- controlled fryers, ovens and refrigerators. Electrolux has come up with a wide range of professional ovens in Indian market which are very cost effective. The Electrolux touchline ovens suits all types of restaurant whether a small or a QSR, where you need quick and dynamic service of quality meals for customer with little time and different taste. "We want to be present everywhere"..